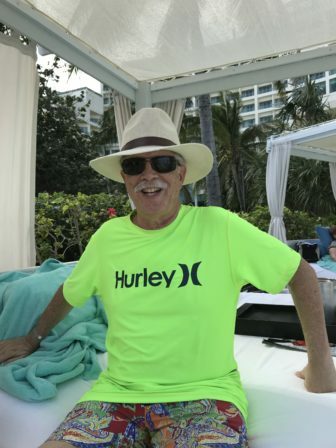 For many years, your NH Travel Guru has been vocal in my opposition to three forms of vacation travel: cruises, visits to Disney World, and stays at all-inclusives. The all-inclusive model originated in 1950 with French Club Med resorts. All-inclusives are filled with temptation. These resort properties include, at a minimum, lodging, three meals daily, soft drinks, gratuities, alcoholic beverages, twenty-four hour room service, spas and other services for one price. Many offer sports and non-motorized water sports and activities as part of their total package. If there is so much value being offered at an all-inclusive, readers may wonder why I have been preaching avoidance. The reason I have disdained these properties, quite simply, is because they do not afford travelers a modicum of authentic cultural or environmentally-based experiences. Thus, years ago, I promised myself to avoid these dens of over-indulgence like the plague. For seventy years, I have kept my word. That was until late January of this year. 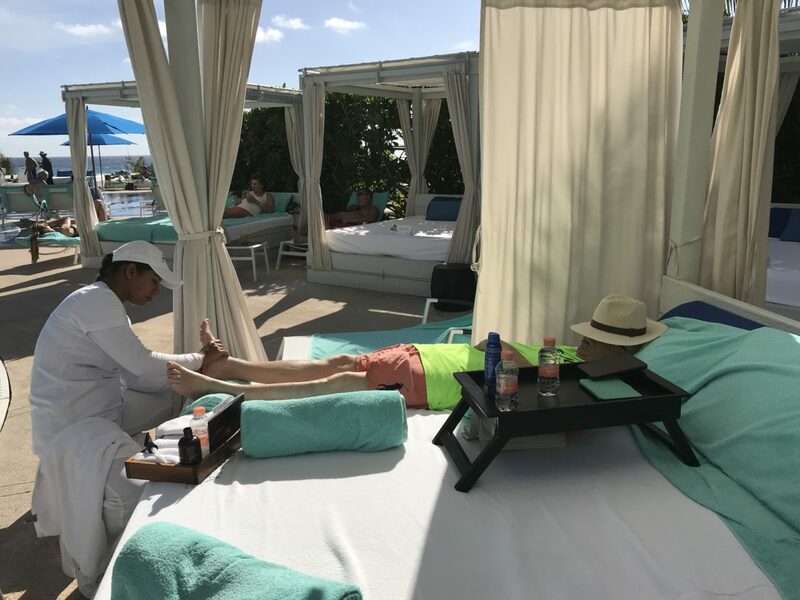 Owing to my wife’s skill as a shopper, we found ourselves with an opportunity to become guests at Live Aqua, a resort property situated In Cancún, México. Being stubborn, I was determined to stand tall during my stay at this property. Therefore, as I am writing this, I am proud of my ability to avoid temptation. The property offers seven restaurants, but I have not visited this full set of marvelous dining experiences (only five). 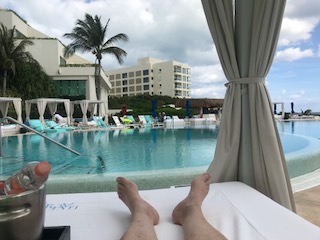 Likewise, I have been true to my standards by utilizing only three of the seven swimming pools, and walking only three of the ten miles of white sand beach. Attached to this column, you will see examples of Live Aqua’s environs. Please don’t be fooled into thinking I’m actually enjoying any of this . . . very much. However, I must remain true to my role as your Guru, and will stay the course, for as long as it takes to understand the popularity of these behemoths. This, of course, has nothing to do with the sub-20 degree windchills back home.